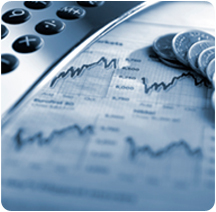 It is business finance solution for acquiring movable items. These may be relatively large assets which will generally have service life of several years or more. This is ideal for smaller businesses who are under the simplified tax system (STS) and have a turnover less than $2 million. You are able to pool assets and claim the one depreciation rate of 15% in the first year and 30% diminishing value after that, no matter what type of asset is being financed. Complete a Chattel Mortgage application without obligation, click here. Or phone +61 (2) 9212 0799 to talk with one of our business finance experts.